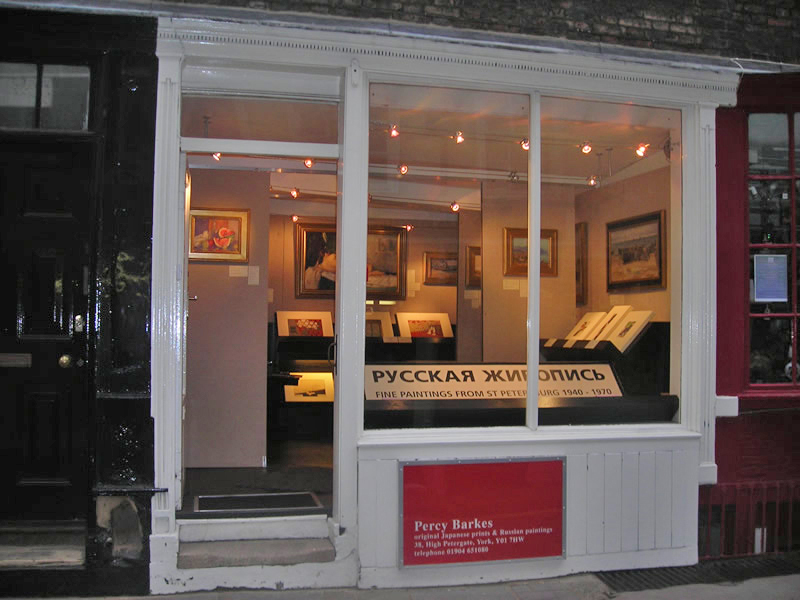 Percy Barkes opened his gallery in York in 1976 selling Japanese woodblock prints. Russian paintings were introduced in the early 1990s. Percy and his wife, Delia exhibited their collection at LIBERTY London from 1984-2012. From 1987-2002 he ran a gallery in Camden Town, London with his brother John - BARKES & BARKES specialising in paintings from St. Petersburg and the Crimea. Most Japanese print dealers specialize in Ukiyo-e prints from the Edo period (1615 - 1868). Percy has always sought to find the best images from the Meiji (1868 - 1912), Taisho (1912 - 1926) and the Showa (from 1926) periods. Since 1995 , Percy has visited over 1000 studios in St. Petersburg, seeing over a million paintings and drawings. Most of the paintings and drawings date from 1945 and almost all the artists graduated from the celebrated Repin Academy in St. Petersburg.